After two previous easy level you have again surprise and its much hard level and need good strategy plus luck. This level board is divided in to two parts and right part have just two columns with two chocolate machine. To reach requirement you will need to make striped candy or colorbomb. 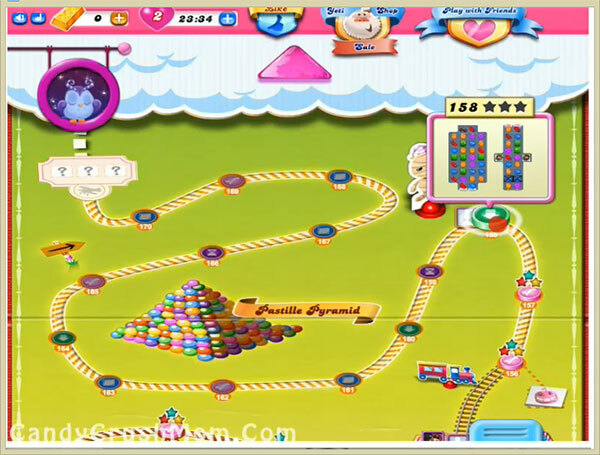 you should try to play more on right part of the board or other part if you have chance to make special candy. Then try to break special candy to break grill or have chance to take down ingredient. We completed this level with 21120 score with strategy that written above and try to make striped candy that help to take down ingredient within last move and got just single star score.